This is beautiful Sylvie. Love your colours and the way you have coloured your flower. So lovely, I love the pink and white - very summer fresh! This is really beautiful - love that flower! Sounds like you're having the most gorgeous weather. 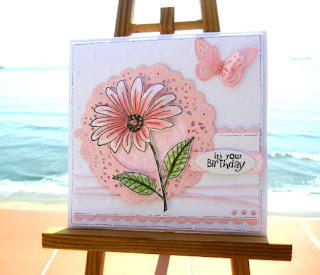 So pretty Sylvie - love the delicate colours on that gorgeous flower stamp. 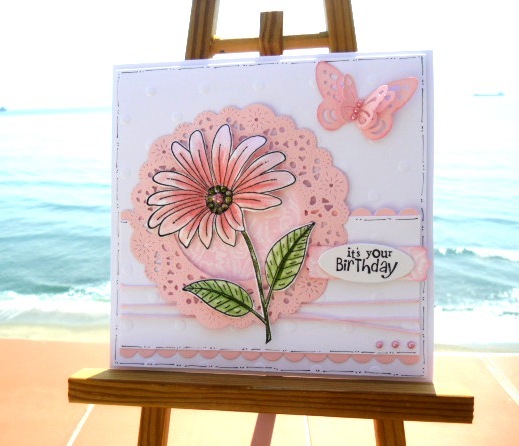 Thanks for joining in this month's Penny Black Saturday Challenge and good luck!